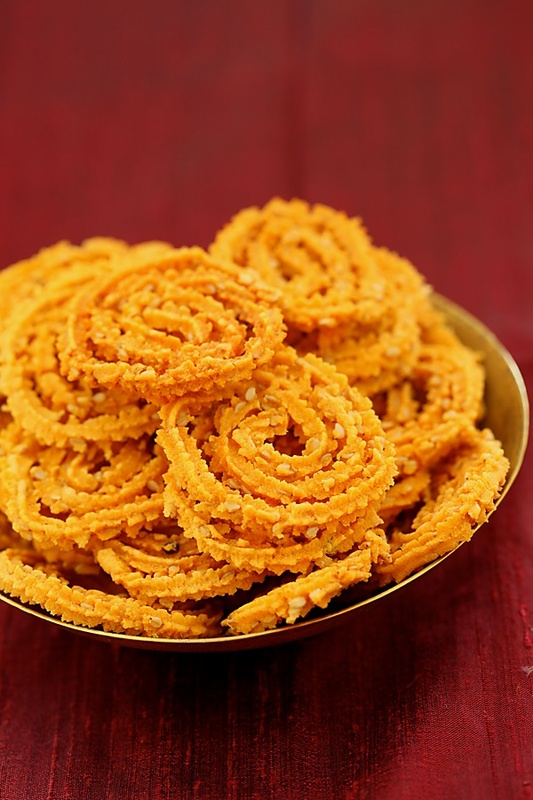 Chaklis have always been one of my most favourite snacks! I really loved them as a child and my ammamma (paternal grandmother) once fondly recalled me putting the chaklis made by her over my thumb, wearing them as an ornament and trying to eat them. Chaklis were also something that I craved during my pregnancy and were a definite part of the parcels that arrived at my doorstep! In my opinion, my grand aunt makes the best chaklis that I have ever tasted and my mother duly requested her to make them for me during that special time of my life. If I had my way, I would be eating as many chaklis as I could and would! But, we do have our limitations and mine comes in the form of my allergy. Since I’m highly prone to allergic colds, I have to watch what I eat and am forced to stay away from deep fried goodness and a lovely fruit like banana! Diwali is incomplete for me without two of my favourite indulgences. Kaju kathli (cashew burfi or fudge) and chaklis! So, this Diwali knowing well that I would indulge in kaju kathlis and all the other delicious sweets, I wanted to have my cake and eat it too and not fall sick in the middle of the festivities with a sore throat and sneezing arising out of deep fried snacks. I also wanted to introduce this favourite of mine to my little one! So, I made a batch of baked chaklis, just before we proceeded to Bangalore for the celebrations with much hope and excitement. The chaklis did turn out well, crispy and nicely spiced, but the next time around, I would bake them with my maternal grandmother’s recipe and see how that works! If only, I had known this secret during my pregnancy, then I could have indulged as much as I wanted! 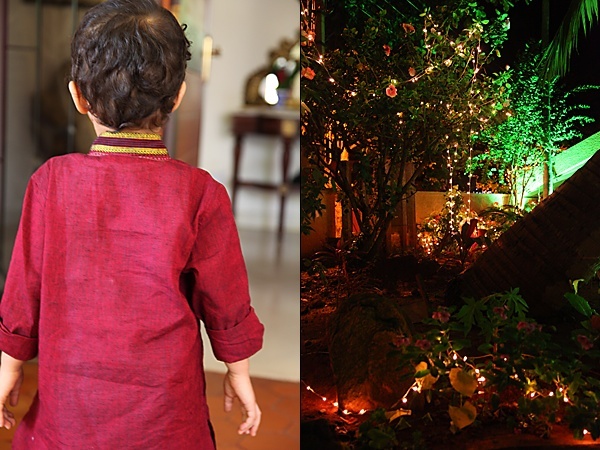 We had a great Diwali in Bangalore and since it was Hari’s first Diwali there, my mother-in-law went out of her way to make it special for her grandson by decking up the entire house and garden with beautiful flowers and lights, cooking family favourites et al. In my childhood, go puja or worship of the mother cow was always an integral part of Diwali or deepavali. My grandmother performed an elaborate puja for all the cows in the backyard in our hometown, Siddapur. I was surprised, excited and happy when cowherd folks from the nearby villages took cows from one door to another in the modern city of Bangalore. When they came to our house, I rushed to the gate with an arathi plate and food for the cow. 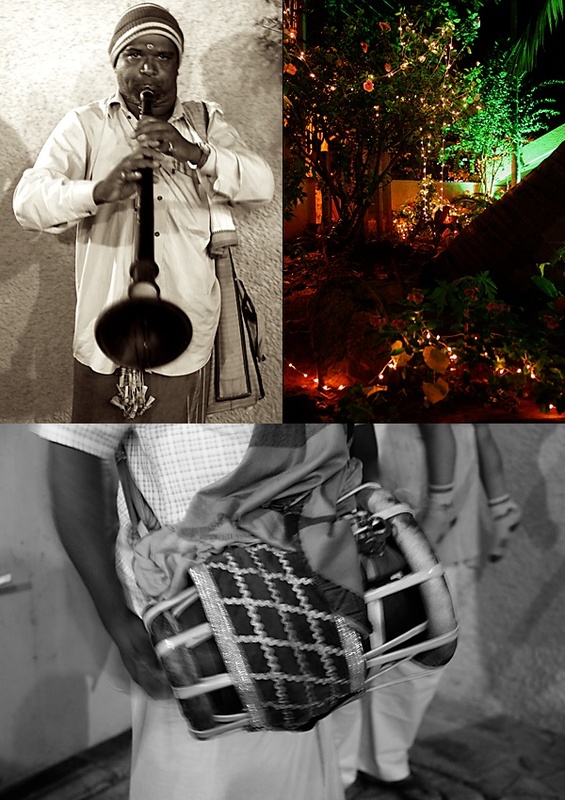 And in the evening, during lakshmi pooja, folk musicians went from house to house, playing traditional Indian music. 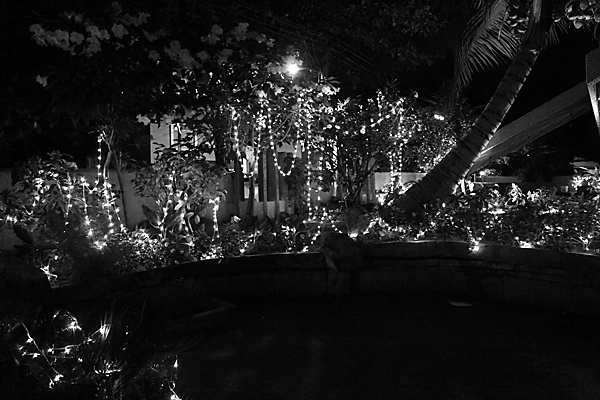 We revelled in the heavenly festive music and Hari was thrilled by the entire experience. 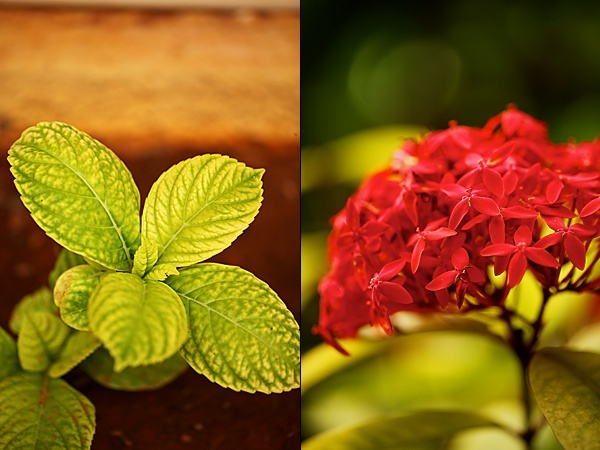 Living in Mumbai, I really miss many unique attributes of living in the South where I grew up. Small things and big things! 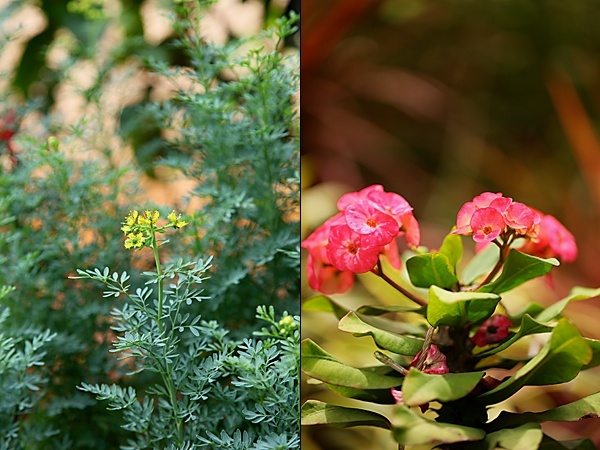 The lush green lawn beneath my feet when I do my suryanamaskars in the morning, the flowers in the garden and the birds flying up in the sky making unique patterns of their own, all this makes me nostalgic. 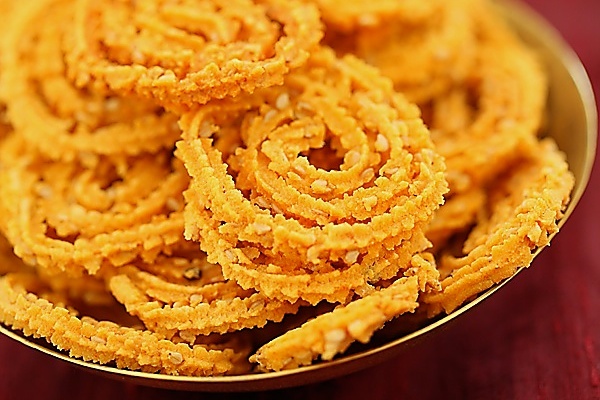 But these chaklis are a solace! They transcend time and place and I can relish them wherever I am! In a large mixing bowl, assemble the flours and the other spices, the rice flour, roasted gram powder, baking soda, red chilli powder, salt, asafetida and mix well with a spoon or with your hands. Stir in the sesame seeds and mix again. Now pour the hot oil into the flour mixture, mix with a spoon and work with your fingers until the oil is mixed into the flour. Pour in the water and make a smooth dough. Do not over mix. Line a baking tray with greaseproof paper. 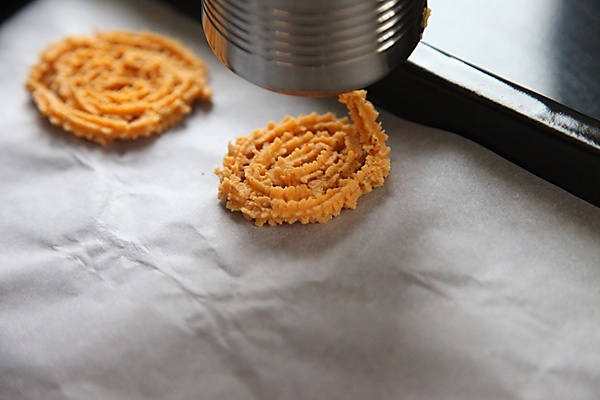 Put the dough into a chakli press and make swirls. Alternately put the dough into a piping bag fitted with a star nozzle and pipe swirls. Bake in a preheated oven at 160 degrees centigrade/320 F for 25 to 30 minutes or until golden brown. Note: The cooking time varies for different ovens. Mine took 25 minutes but keep your eyes open once 15 minutes are up! If you find them getting over browned then take the tray out and allow to cool. Seriously i want to try them since a long, cant wait to make some soon..
OMG !these look so perfect!! I am sure I want to try these out soon! You will love this healthy alternative to the traditionally deep fried snack! DJ: That was super quick! 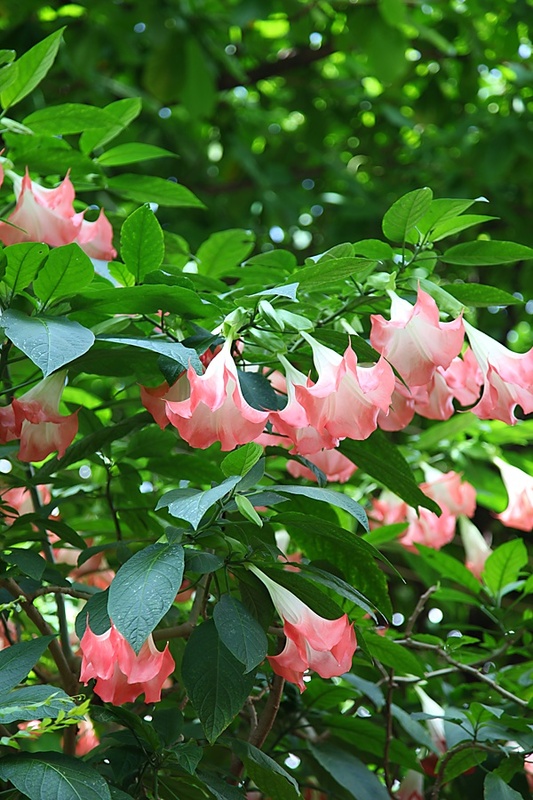 You are most welcome and thank you for the feedback! Deep fried sinful indulgence turned to be so super yum and healthy. Excellent recipe. Truly have your cake and eat them too! Chaklis and baked ones to go..nothing can get better than this treat, Anu. 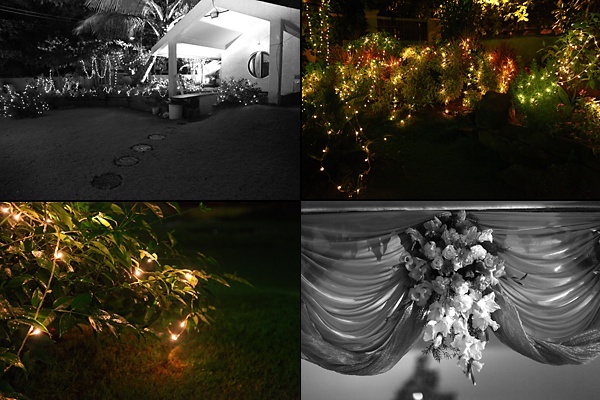 And what wonderful Diwali deco at your home. The chaklis look perfect. They dont look like they were baked. Thanks for the recipe. Whats the dal that u use ? can I use Besan ? or is that different? wow, without oil, this one is really great. i'm goin to give a definite try. Lovely murukku. Looks so crispy. This snack is completely new to me and it looks sensational. Beautiful photos too! Lovely pictures as usual. Hari looks so cute in the pink kurta! I can go on and on with this savory!! I made this today and the taste was good but it was breaking up. I couldnt do a proper round like yours. Pl let me know what I could have missed. Deepa: It actually depends on the rice flour as some varieties have less binding properties. You can mix in a little besan and a little more oil the next time. This might help. 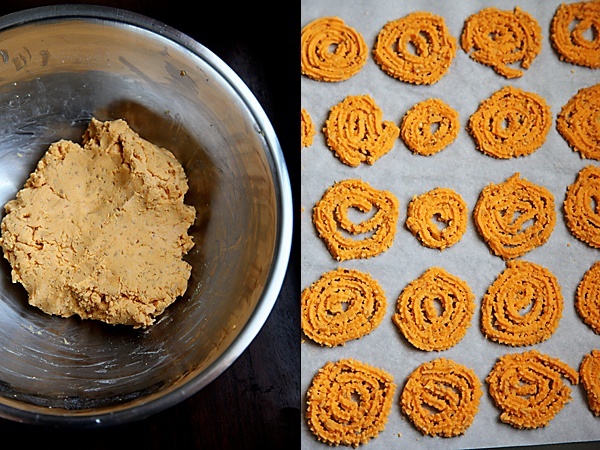 I will post another recipe for baked chakli on divinetaste. I tried these today and they were just not right. Not sure how but the murukku were dry and tasted raw inspite of baking them for 45 mins . Mamta: If you are looking for the same texture of deep fried murukku then this is not the recipe to try. This is a little on the drier side but tastes quite good. I'm not sure why your chaklis tasted raw though. You might want to add little more oil to the dough if you want to try it again. I had the same problem as Mamta, with the chakli tasting raw. Tried adding more oil to the dough, but it didn't help. Wonder why. Hello! I recently wish to offer a huge browses upward for the good data you have got right here on this publish. I am going to likely to end up coming back in your web site for further quickly. Dear anu, baked these chaklis today had to bake them for 30 mins turned light brown perfect swirls but when u lift them it kind of breaks into big pieces but on the whole a novel concept . 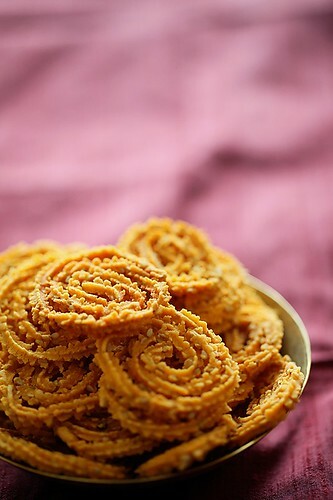 Madhu: The texture of these chaklis depends greatly on the quality of the flour used. Maybe your batch of flour needed a little more binding agent? Chakkali are my all time favourite…That too baked !! 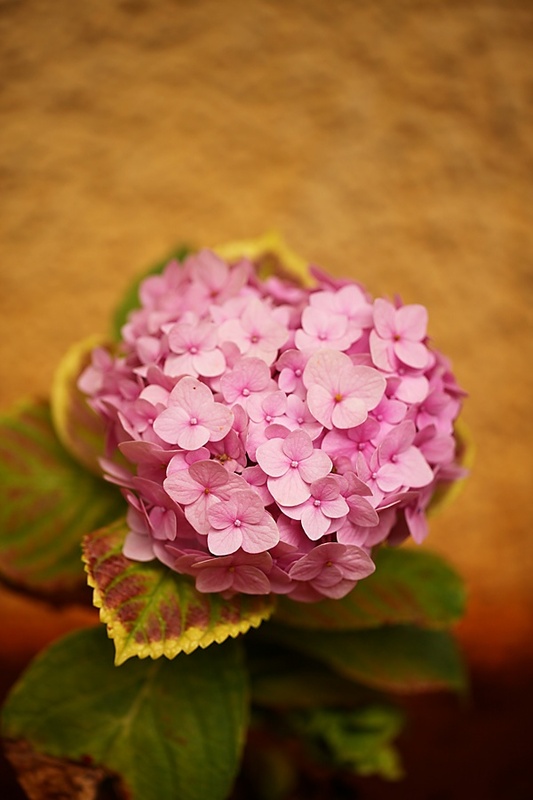 wanna give a try…But sesame seeds are there.Is it ok to eat if we are pregnant? swethaa: You can avoid it if you wish. Or add very little. A little sesame seeds should do no harm. Did you ever post your aunt's or grandma's recipe of this? Rekha- Great to know that! I tried baking this today.. It came out crispy. But this has a raw smell and taste.. Is there any reason ? Do I need to roast dalia powder and rice flour before making ? Deepa- every oven is different so maybe your need to roast for a 3 to 4 minutes more.